Hurricane Danny has continued to strengthen this morning. Maximum sustained winds have increased to near 105 mph – a Category 2 hurricane on the Saffir-Simpson Hurricane Wind Scale. Danny is about to encounter a less conducive environment, and weakening is forecast during the next 48 hours. 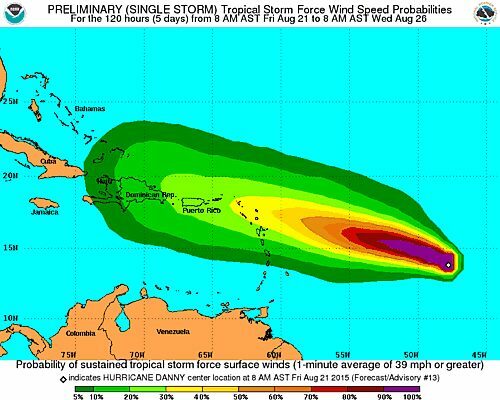 A NOAA Hurricane Hunter aircraft is scheduled to investigate Danny late this afternoon. 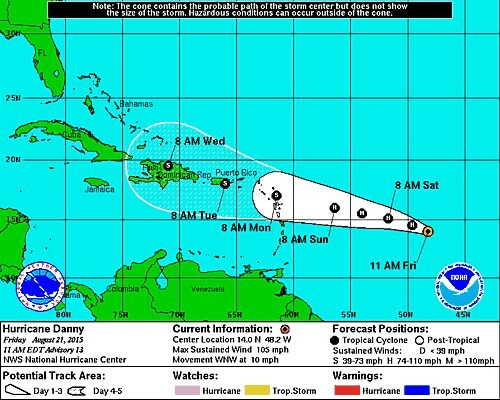 Danny is centered about 930 miles east of the Leeward Islands, moving toward the west-northwest near 10 mph, a motion that’s expected to continue through tonight. A turn toward the west is expected on Saturday or Saturday night. There are no coastal watches or warnings in effect. However, interests in St Maarten and the other Leeward Islands should monitor the progress of Danny. 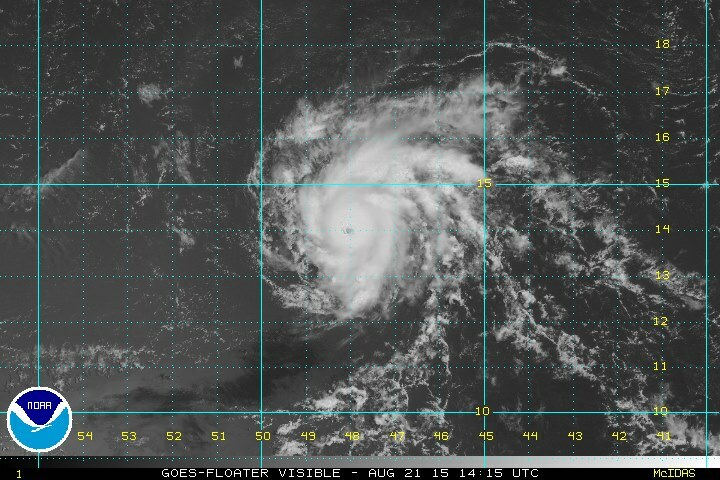 Danny remains a tiny hurricane. Hurricane force winds extend outward up to 15 miles from the center and tropical storm force winds extend outward up to 70 miles.